In this musical version of the famous Welsh Christmas remembrance by Dylan Thomas, the characters the author describes take life and appear in play form. Piano and violin open the performance and accompany many of the songs. The voices are lush. 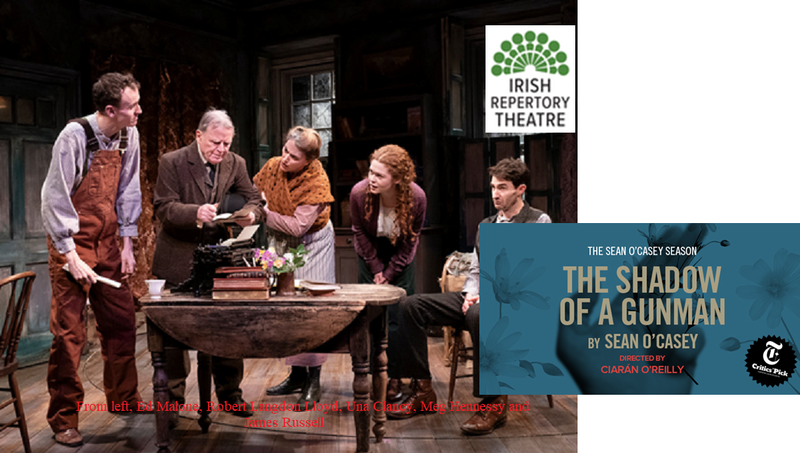 The Irish Repertory Theatre has succeeded in making us all wish for such a holiday. 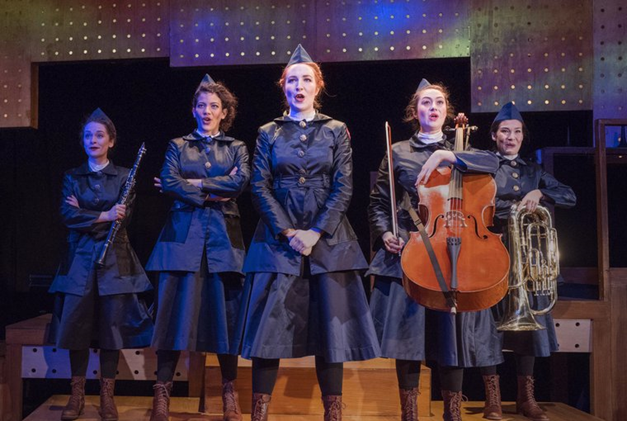 In this centenary year of the end of World War I, the Prospect Theater Company brings us one of the lesser known stories of the period. War is raging in France and the US Army is suffering with poor field communications. General John Pershing steps in, making a surprising decision to remedy the situation. He recruited female telephone operators into the Army Signal Corps. This was an unusual solution as women didn’t even have the vote yet, to say nothing of being sent into war zones. 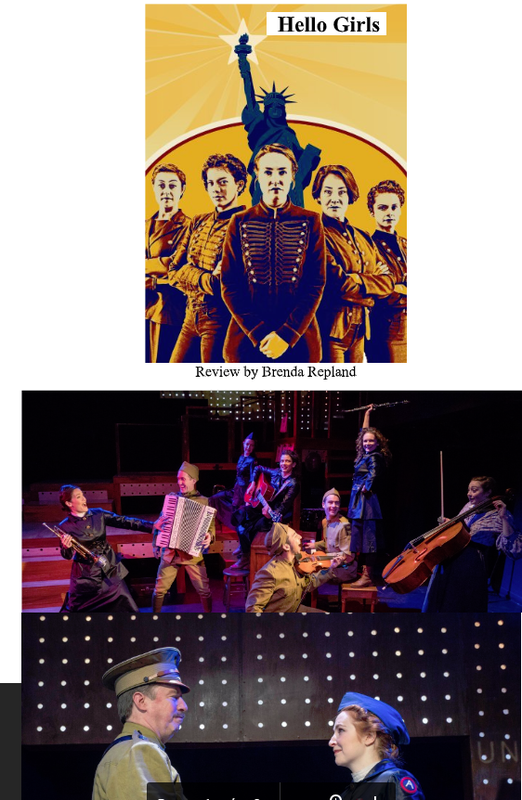 In this production, the actors sing and play a myriad of musical instruments for a lively romp through drama and excitement of the time. We get to know the women along with their individual stories. Their common bond is their determination to be part of the Army they were serving in the most efficient way possible. This is a story well worth telling and this cast of actors and musicians delivers a winner. 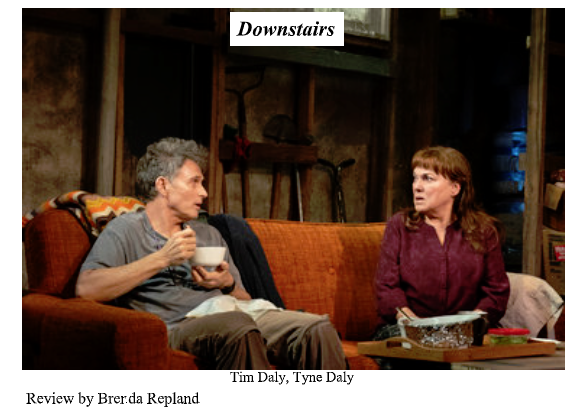 Real-life siblings Tim and Tyne Daly star in “Downstairs,” a thriller with its moments of comedy. Ms. Rebeck wrote the play with them in mind. The dreary set, by Narelle Sissons, is a literal version of the dysfunction affecting this family. Times are hard for Teddy but Irene is the real victim of her husband’s (John Procaccino) abuse. Mr. Procaccino is the epitome of a thug with all its coarseness and self-absorption. His character adds a level of tension that portends something significant happening. And so it does! Ms. Daly’s laugh is all the more chillingly sinister coming, as it does, from her previously timid demeanor. You will not be able to imagine the delicious dénouement. But enjoy it, you will!